For any commercial property owner (and for tenants of those properties), there are many advantages to making improvements in efficiency — even beyond incentives offered by the government. A lot of owners may not think about making these improvements because they have the building leased or rented out, and tenants may not know that improvements are an option for them. In many cases, owners and tenants have multiple avenues they can take to improve the quality of the building, lower the power bills, and make the space more comfortable overall. Here are some of the main advantages and considerations when it comes to energy efficiency and commercial properties. With low-flow toilets, sinks that are activated by sensors, and other types of water-saving measures, a tenant or an owner of a commercial property can see their water bills drop drastically. The relatively small, one-time cost of installing these things is generally well worth the long term savings that will be seen. Low-flow toilets use far less water per flush, and there are also options for toilets that have two different flush settings for further conservation. Additionally, sinks that only offer water when the sensor has been triggered work well because they eliminate the risk of someone leaving the water running. Renewable energy sources are becoming far more popular, and new and better ways of using renewable energy are on the horizon. 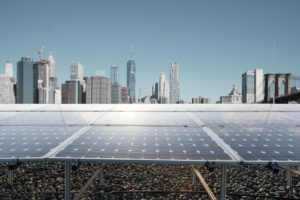 Wind, water, and solar power are all renewable, and in commercial real estate it is likely possible for an owner to be able to install solar panels to power the building. If they are in a more rural area or near a body of water, harnessing wind and water options may also work for their needs. Even if these options don’t provide all the power for the business, they can drastically reduce the overall electric bill and help the environment at the same time. One of the biggest advantages to owners with efficient buildings is attracting good, long-term tenants. Companies that want a modern building with lower bills, and companies that are interested in caring for the planet may both be focused on buildings with energy efficient features. When an owner has this to offer, they are more likely to get good tenants in their locations. The tenants also benefit, because they get lower costs and a building they can really work with and feel good about. With energy efficient options in a commercial building, everybody involved with that building wins. Whether an owner uses the building for their own needs, or they rent it out to tenants, the clients and customers that come through the doors are going to appreciate a space that is cozy and comfortable. Proper efficiency features can help with that, and can allow anyone coming into the building to feel warm in the winter and cool in the summertime. That’s good for business, and when it’s comfortable in a space people want to stay there for a longer period of time. In short, that will help the business located in that building have more success, whether the owner is using the building or renting it out. Having energy efficient features in a building is more than low-flow toilets and solar panels. The right type and level of insulation matters, as does the quality of the windows and other items. Heating and cooling systems should both be updated and efficient, and if there are older systems in the building they may need to be replaced entirely. Reducing energy costs can dramatically improve a building owner’s bottom line over time, making these different improvements certainly worth investigating. Owners will see stronger tenants wanting to rent their building, tenants will have higher levels of success with clients and customers, and everyone will benefit in the community from having good quality buildings that work well, keep costs low, and give businesses and consumers opportunities to get what they need in their local area. 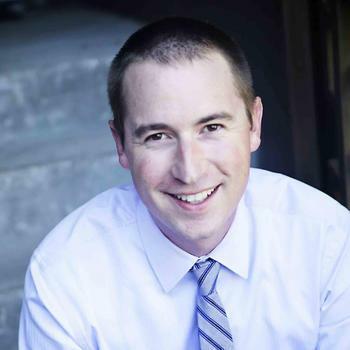 Ryan Poppe is a real estate agent with Colorado Property Group. Ryan is interested in real estate technology and its place in reducing waste and saving investors money.